As early voting began this week, the question of “Who will be Mayor?” is on everyone’s minds. I’m probably asked this question a minimum of 10 times a day. It is true that historically, my gut can predict an election outcome or grasp the attitudes of the voting public. Unfortunately, for the first time in nearly 35 years, I do not have that capability. The 2015 Mayoral election has been and still is one of the oddest that I have witnessed. At the risk of offending the candidates, I share some thoughts on the reasons this election has been challenging. 1. The public does not seem interested, except in potholes. Many people are just now waking up to the fact that Mayor Parker has reached term limits. Daily I am asked why she is not running again. 2. The number of quality candidates has overwhelmed even the most aware voters. Several of them are great. Many people feel like they could comfortably support several of them. When pushed, they will come up with a favorite but they don’t really care among the top 3 or 4 they support. 3. Polls are inconsistent. No one poll has predicted the outcome that matches other polls. Each of them show a tight clump of candidates. They consistently reveal that “The Statesman” Sylvester Turner is in the lead but vary significantly and within the margin of error on who might make a run-off with him. 4. The debate over Houston’s Equal Rights Ordinance may be generating more emotion than the candidates. People have strong feelings about the referendum on this ordinance and it may bring voters to the polls that don’t consistently vote in city elections. This could also skew current polling data. The polls rely on “likely” City voters. 5. Where is the excitement? There are 6 really strong candidates who have trooped from forum to forum, spoken on their own and run aggressive grass-roots campaigns. Each of them have a cadre of hard-core supporters that engage. However, no one of them has captured the passion and dedication that normally accompanies mayoral candidates – from the underdog spirit to the secure front-runner. The Turner camp has many young people involved and you can feel passion around him at times. He personally is a passionate person. Garcia also has a cadre of youth backing him and good grass-roots support. King has been gaining with conservatives. Bell generates a strong passion among his loyalists as does Costello. Hall has much of the conservative religious community backing him It’s just that the public is not catching on or connecting in a big way. 6. So, based on data, organization, endorsements, spending and more, one could say that expect Turner to be in the run-off. The question is who will share the stage with him? This blogger has no intention of recommending a candidate to you. However, it is critical that you study these folks, pick one and cast a ballot. 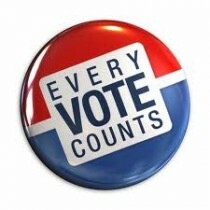 You may view the League of Women Voters guide to the election by clicking here.